Requirements: The customer wanted Elinext Group to develop a mobile app for the iPhone and Android that will provide the user with a possibility to create “Voice Albums” where the user can record voice messages and share them with friends, family, etc. Challenge: The main challenge for our developers was to organize media streaming for voice records in such a way so that not to dump phone memory with voice records. It was therefore important to make the app work flexibly with server in order to minimize resources required for the app’s stable work. The developers were also tasked to improve and complete web services, as well as to organize clear and flexible app cooperation with server through web services. Solution: Developers have used their own media streamer to fully optimize its work for app logic and provide good quality and stable audio streaming from the server’s storage. 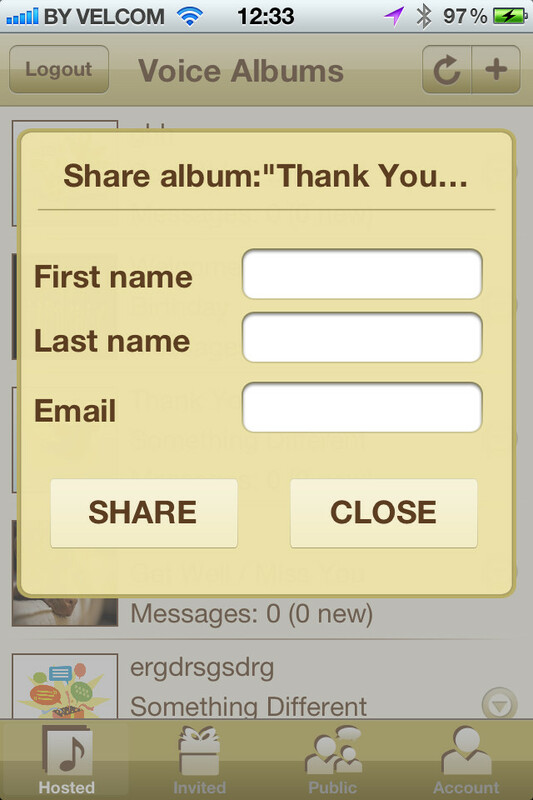 The application was also divided in four main sections (user “Hosted”, “Invited”, “Public” albums and user profile). In each section the user can keep all the information up-to-date just by pressing the update button and web service will immediately return fresh data. New account registration for novice users. “Remember me” option lets the user not enter login and password on every application start. Creating new “Voice Albums” with the possibility of further editing or deleting. Sharing “Voice Albums” with other users providing them with a possibility to add records to the albums. 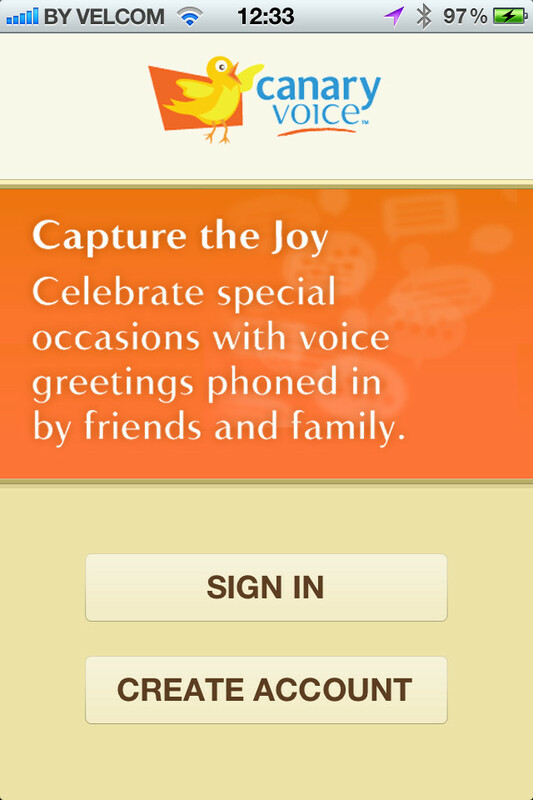 Possibility to congratulate friends, family with all kinds of celebrations (Birthday, Anniversary, etc) just by leaving voice messages. 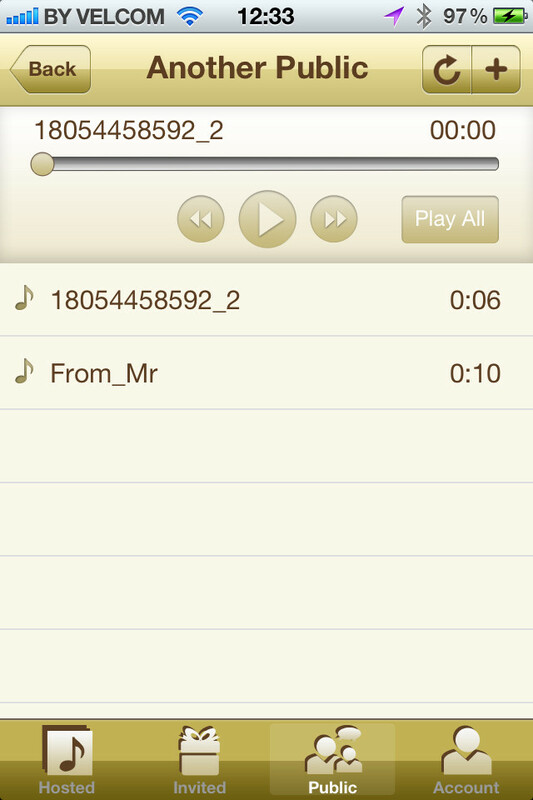 Opportunity to see new voice messages and all voice messages count in all three kinds of albums. Dividing voice albums into categories by choosing event type and event art picture. 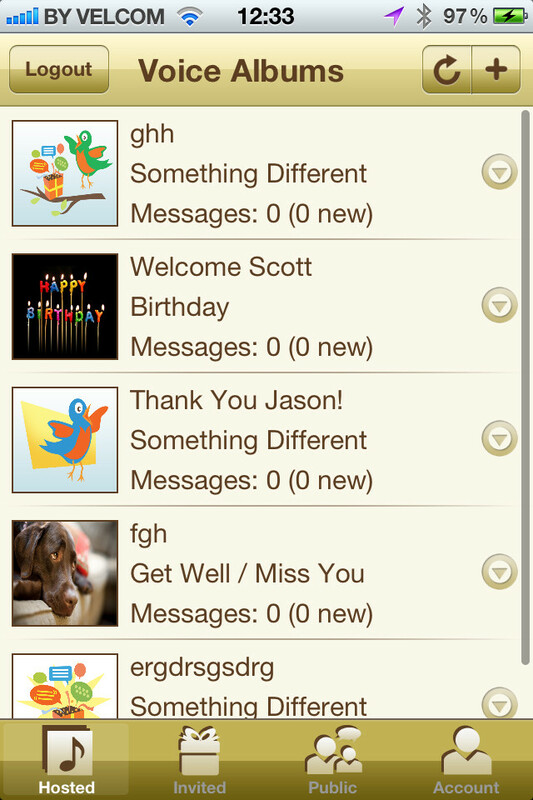 Leaving voice messages in the invited or public albums. Live streaming of voice messages in albums with the possibility of rewinding and “Playing All”. Opportunity to disable or enable existing voice messages in albums. Notifications that tell users about new messages or new albums where they are invited.